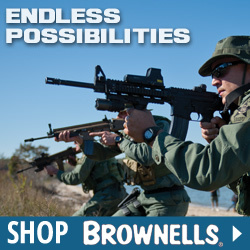 We found a great deal on the Troy Industries, Inc. Ar-15/M16 Professional-Grade Sling Adapter for only $48.99 at Brownells. 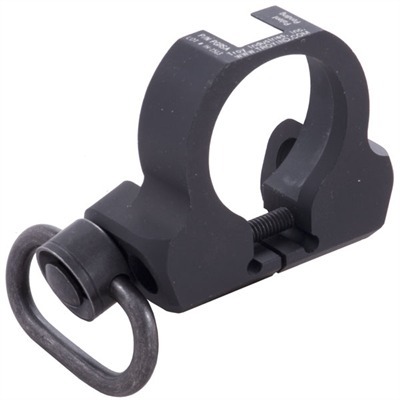 Heavy-duty sling adapter slides over collapsible stock buffer tubes to provide secure, ambidextrous attachment for the push-button QD sling swivel. No gunsmithing required-simply tighten down the steel crossbolt with the included hex key wrench. Solid aluminum construction with plenty of extra metal at the stress points to ensure this mount won’t twist, flex, or bend under pressure. Beveled and rounded edges help resist snagging on sling or other gear. Indexes to upper receiver to prevent unwanted rotation of buffer tube. Hardcoat anodized for extra strength and wear resistance; available in matte black or dark earth. Stainless steel swivel has a non-reflective black finish an Mfg: Troy Industries, Inc. SPECS: Aluminum, hardcoat anodize, matte black or dark earth, with stainless steel sling swivel, matte black finish. Accepts slings up to 1 1/4″ (3.2cm) wide.